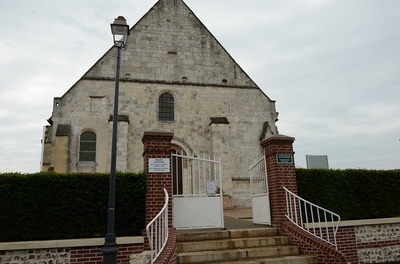 St. Vigor-d'Ymonville is a village and commune near the north bank of the River Seine, 12 miles (19 kilometres) east of Le Havre, and 1.25 miles (2 kilometres) north-east of the Bac-du-Hode, where there is a ferry. The Bac-du-Hode is on the Le Havre to Caen bus route. 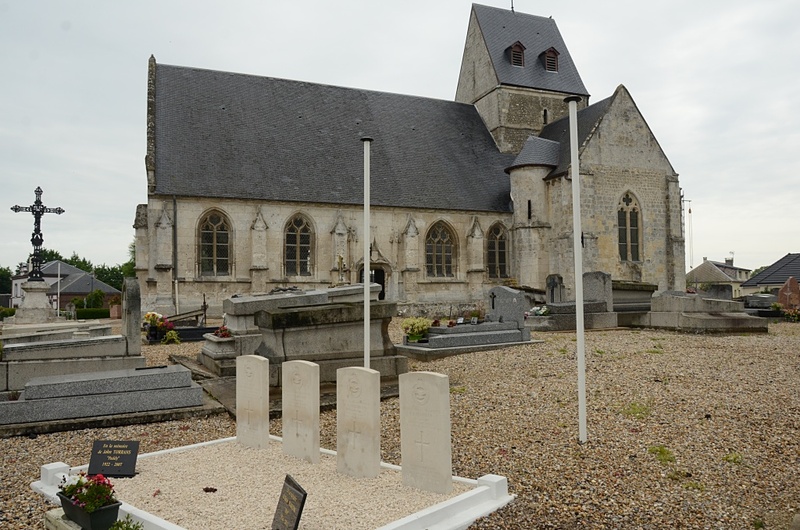 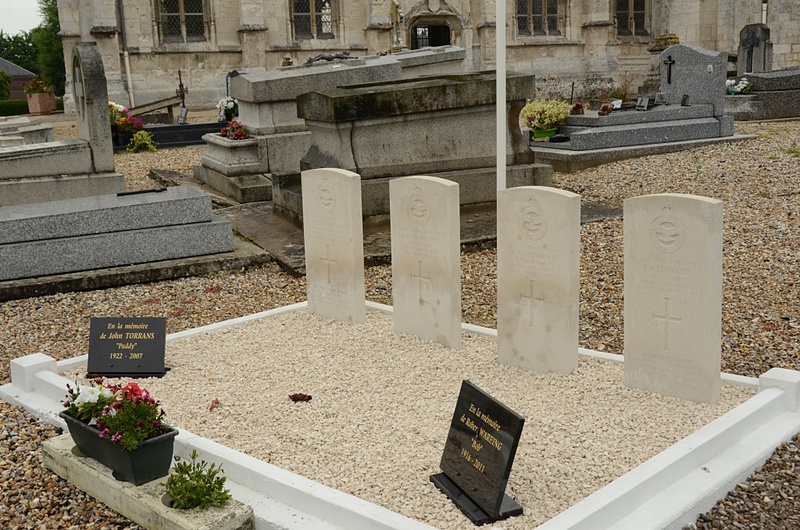 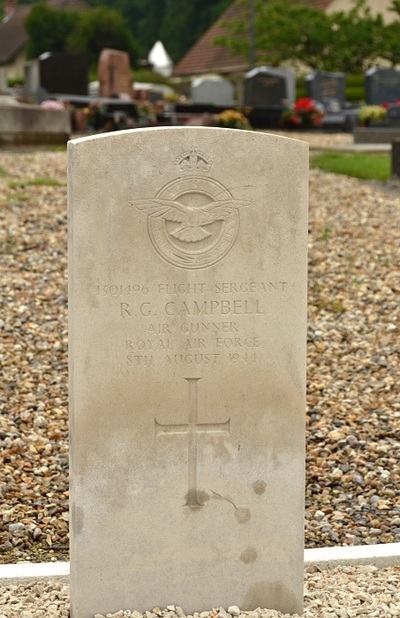 In the churchyard, 25 yards west of the west door of the church, is the collective grave of 4 airmen of the Royal Air Force. 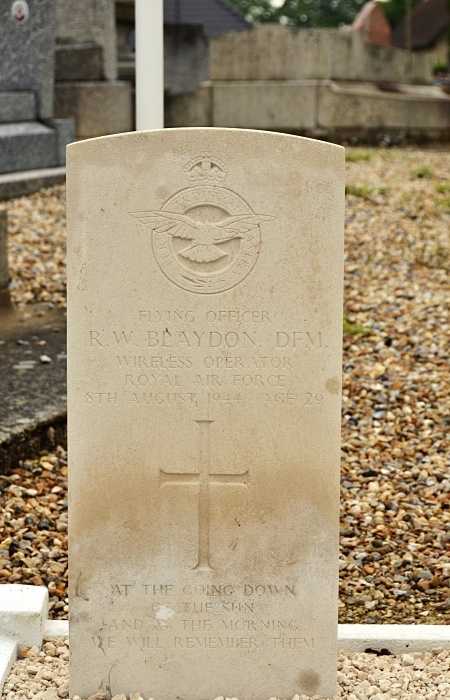 169133 Flying Officer Reginald William Blaydon, D. C. M., Wireless Operator in 582 Squadron, Royal Air Force Volunteer Reserve, died 8th August 1944, aged 29. 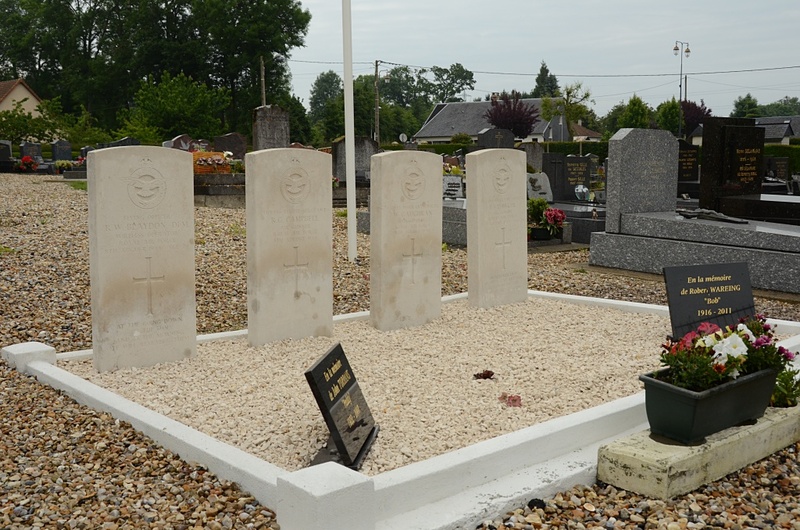 Son of Thomas and Florence Blaydon, of Sutton, Cambridgeshire​. 1301496 Flight Sergeant Robert George Campbell, Air Gunner in 582 Squadron, Royal Air Force Volunteer Reserve, died 8th August 1944. 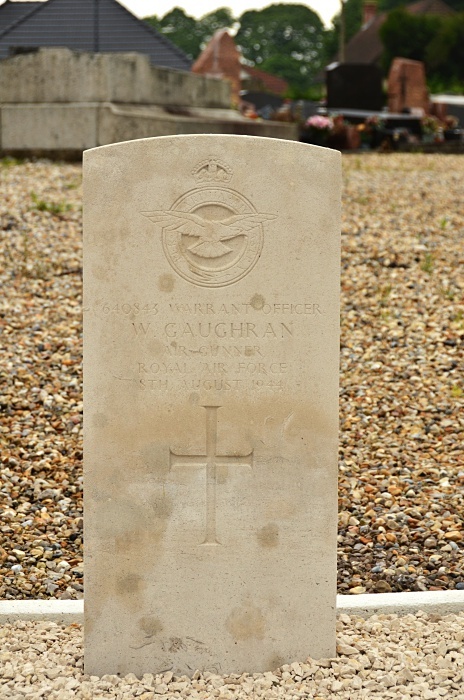 640843 Warrant Officer Wilfred Gaughran, Air Gunner in 582 Squadron, Royal Air Force, died 8th August 1944. 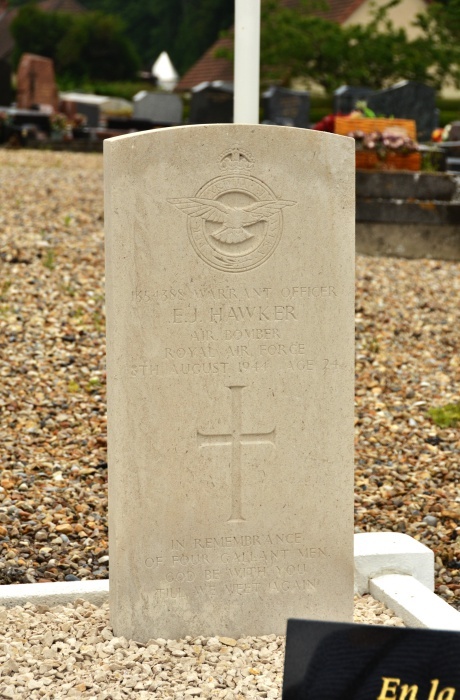 1354388 Warrant Officer Edwin James Hawker, Air Bomber in 582 Squadron, Royal Air Force Volunteer Reserve, died 8th August 1944, aged 24. Son of J. and Margaret Hawker; stepson of Mr. R. Day, of Merton, Surrey.